The Milo by Bluelounge ($15) is a sleek and stylish stand that provides an upright resting place for your iPhone. 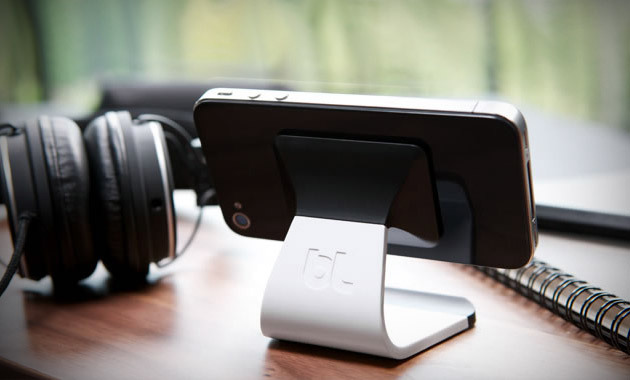 This desktop accessory features a familiar design inspired by current iMac and Mac monitor stand, and features a hi-tec Japanese micro-suction technology to directly grip your phone at any desired angle. The micro-suction pad is reusable, easily cleaned, and will not leave any residue or marks on your device, which the same can't be said about your greasy fingers.